Yannan is interested in the development of adolescents' career choices. She investigates the way in which adolescents' career aspiration (e.g. jobs adolescents like to have in adulthood) and career choice (e.g. major in college) change over time, including individual difference of this process. Yannan is also interested in interventions to promote students' learning experience in college classrooms, such as the utility value intervention in STEM courses. Yannan is from Xuzhou, China. She received her bachelor's degree in Psychology from the University of Wisconsin-Madison in 2016. 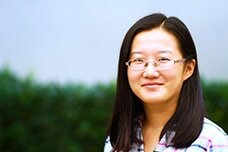 She is a recipient of the 2016 Provost Ph.D. Fellowship.